Namecheap is mainly known as a cheap domain registrar, so you can expect to register your required domain name (s) at a cheap price. But do you know how to buy a domain from Namecheap? To provide the domain registration service with ease, the company has a separate option for registering domain names. Also, you can buy a domain at the time of purchasing your hosting pack from Namecheap. In this post, I’m gonna discuss both the ways. So, carry on reading to learn about the service well. So let’s start with the first method. To start with the domain registration, first of all, you’ll have to land the site of Namecheap. Hit the link below and you’ll be taken to the domain registration page of Namecheap. So you’re now on the Domain Name Search page which is for searching and registering domain names. Now, type your preferred domain name in the box and hit the Search button. You’ll come to know whether your preferred domain name is available or not by searching it. So I typed gotopblogging.com in the box with a .com extension. You can just write your preferred domain name without adding an extension. After that, I hit the Search button. It took some time to load a new page. Then, on the next page, I’ve seen that there’s a long list of domain names along with four columns. First of all, let me tell you about all the four columns that come with different options. The first column comes with a long list of domain suggestions. I found that the domain is available in the first column. 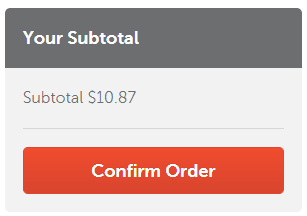 The cost is only $10.69 (Note that the price of a domain name is subject to change) for one year. You can progress the buying process by hitting the cart button situated on the right side of the domain name. 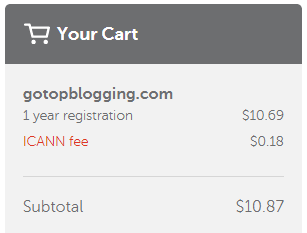 Once you do so, you’ll see that the cart has been updated with the price of the domain name. You can buy any of the additional features for your domain. Once everything is chosen, now is the time to check the cart again. 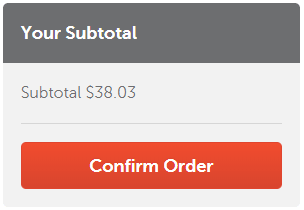 Hit the Confirm Order button and it’ll ask for the payment method and payment information. Log in or sign up for an account as per your situation and then, pay the bill of the domain name. That’s it. You have bought a domain. You’ll get a purchase order email along with other necessary information shortly after purchasing the domain. Now let’s talk a bit about the other three columns. The New column is to show all new domains. The Discounted column comes with different discounts that are available for different domain extensions. And the last column, International, is for showing you country specific domain names with respective extensions. Suppose that you’re from the UK and want to buy a domain with the .co.uk extension, then you can find all domain suggestions for this in the last column. You’ve found this term on the right side of the domain name search box, right? If you forgot, please check it again. This option is for checking multiple domain names at a time. Hitting the button will bring two options along with a big blank box on the left side of a new web page. In the box, you can type up to 50 domain names with your desired extensions. You can also select the extension type by going to the next option. So you have learned how to buy a domain or multiple domains from Namecheap. Now let’s check the process of buying a domain during the purchasing process of a hosting package of Namecheap. To start this process, first of all, you need to select a hosting plan of Namecheap. 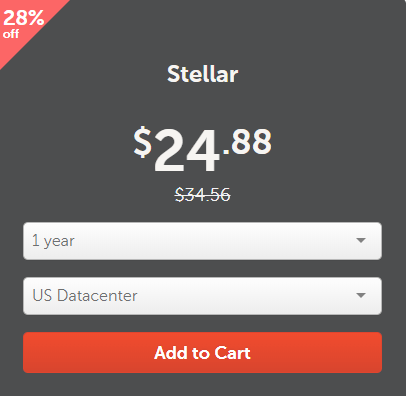 Suppose that you’ve chosen the starter hosting pack, Namecheap Stellar shared hosting, of the company and let’s start with it. Follow this link (click here) visit the shared hosting page of the company. You’ll see three different shared hosting packs on the page. Among the three hosting packs, you’ll go to the first pack since we’ll check the process with the starter pack. You can buy the hosting pack either on a yearly basis or on a monthly basis. I’ve shown you the yearly purchase. So select your period of purchase of the hosting pack. You can also select your server location as the US or the UK. Once you hit the button, you’ll face a web page. The page is for selecting a domain. You can see that the second option is for buying a domain for your hosting package, so you have to follow the option. After clicking on the button, you’ll be taken to a new page with a blank box. This is the domain search box where you’ll have to type your preferred domain name. So put the domain name in the box that you have selected for your blog. To give you an example, I’ve tested with smnblog.com. Since it’s available, I can now buy it. If your tested domain isn’t available, then you’ll have to check with other domain names. A domain is a unique name, so you can purchase it only when it’s available. Once your domain has been found available, you can now proceed further. To do this, click on the Add New Domain to Cart button. This will take you to a new page where you’ll find some more services. Check the services and buy them as per your need. Once everything is selected, you can now buy your domain along with the other selected services. You’ll get the total bill in your cart. Clicking on the Confirm Order button will finalize your purchase. Note that when you pay your bill, you need to do that using an account. To do this, you need to have an account on Namecheap. 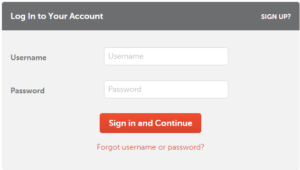 If you have a Namecheap account, just log into it before you pay the bill for your domain. You can also create an account if you don’t have one yet just by hitting the SIGN UP button. 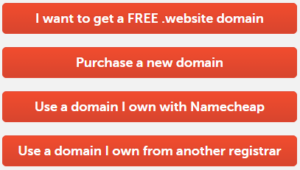 So this is the end of this Namecheap domain purchasing guide. The process is very easy and you can buy a domain from Namecheap without having any confusion since Namecheap is one of the popular domain registrars.